Our latest plane is a serious workhorse. With 1138 pounds of useful load, you can take your family/friends AND their luggage and cruise comfortably to your destination at 170 mph. 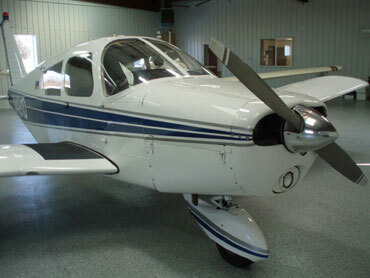 Piper’s small four-seater is an economical aircraft to operate, making it a very affordable trainer for student pilots. In addition to local and cross country flights, experienced pilots use it to maintain their proficiency. Avionics - Autopilot, Dual Nav/Coms, GPS, Transponder, and intercom.